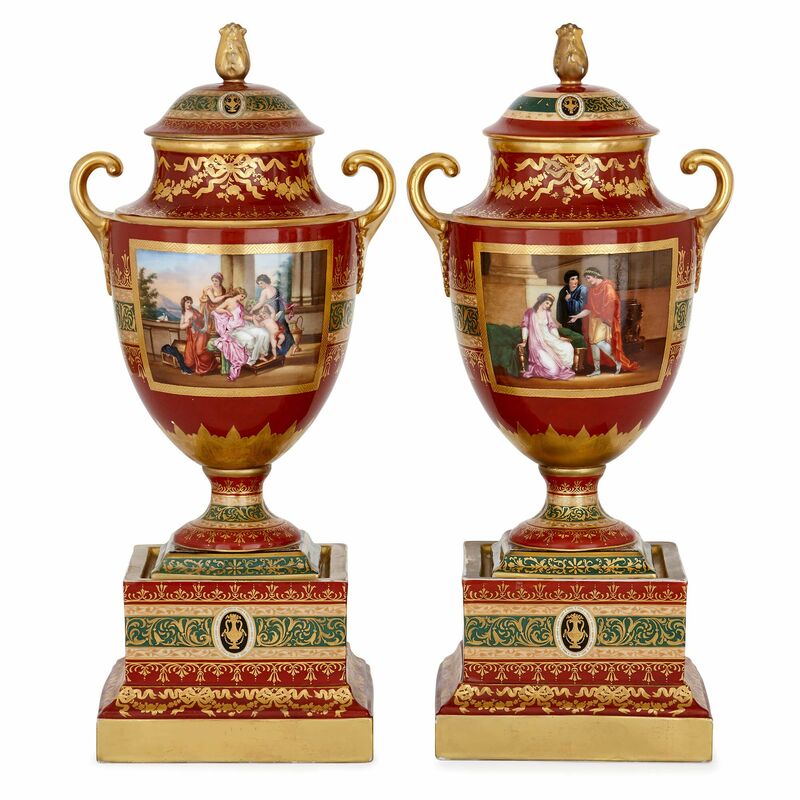 This regal pair of porcelain vases are made by the prestigious Austrian manufacturer Royal Vienna, and exhibit exceptionally intricate gilt detailing all over. 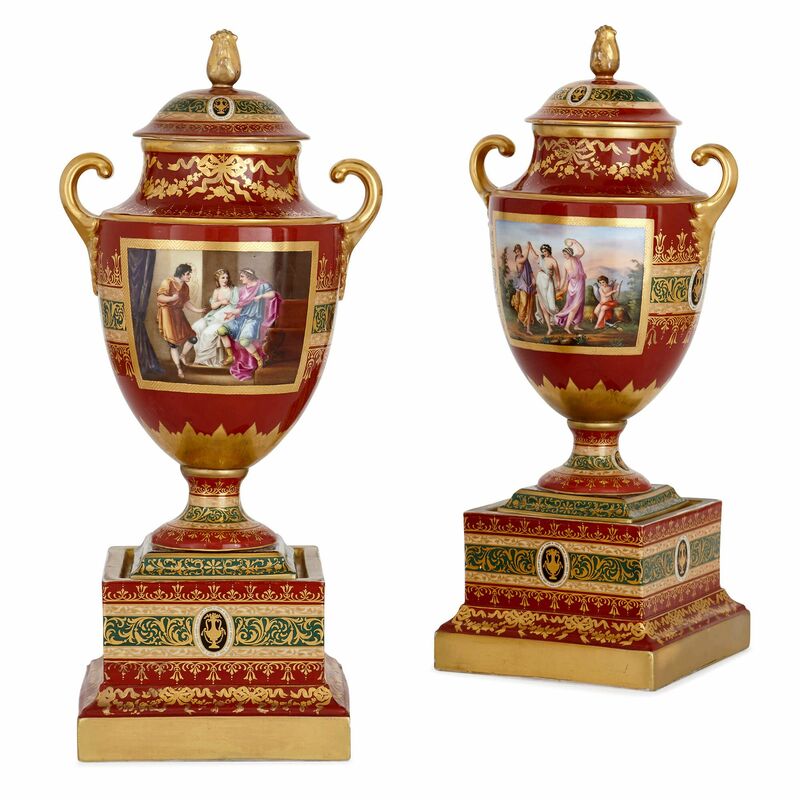 These exquisite vases date from the early 20th Century and feature a striking red, green and gold colour scheme. 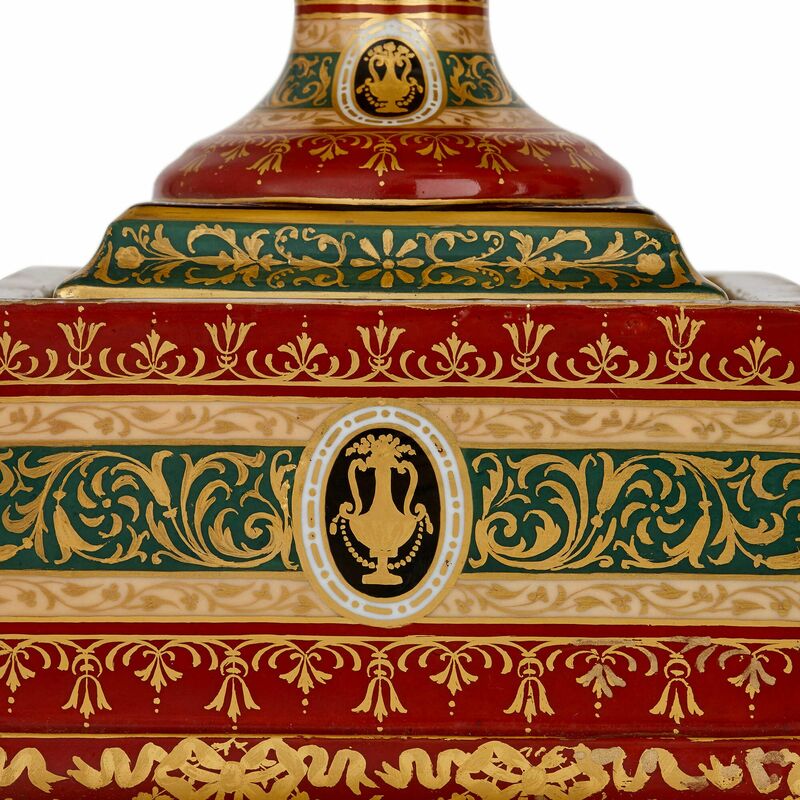 The vases are set upon stepped square form plinths, which are decorated all around with scrolling bands of gilt arabesques and foliate motifs in alternating bands of red, green and gold. 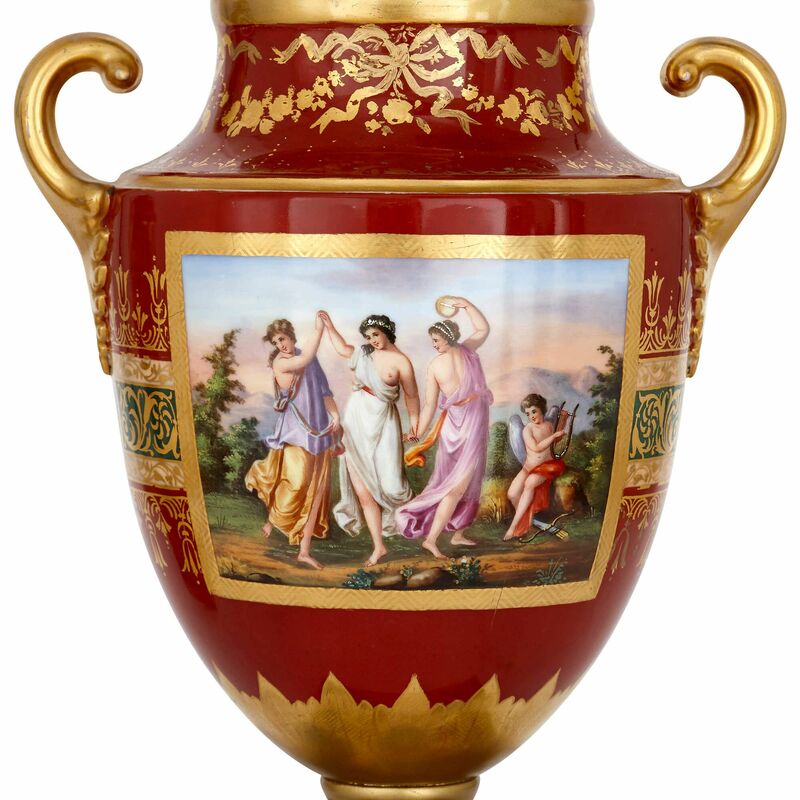 The ovoid-shaped bodies of the vases are painted with Classical scenes of merriment and courtship to both the front and reverse. The paintings, set onto the rich, red ground, were executed by Hans Stadler (German, 1868-1916), an important and respected artist, who worked for the Royal Vienna Manufactory in Austria at the turn of the Century. 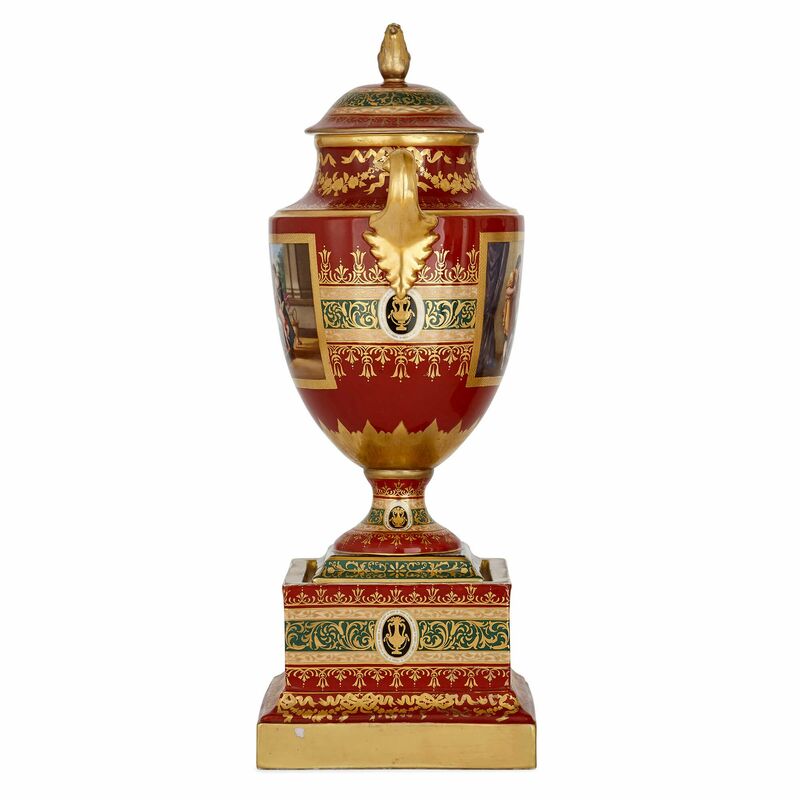 The vases feature curved, gilt twin-handles, and covers surmounted by gilt rose-bud finials. 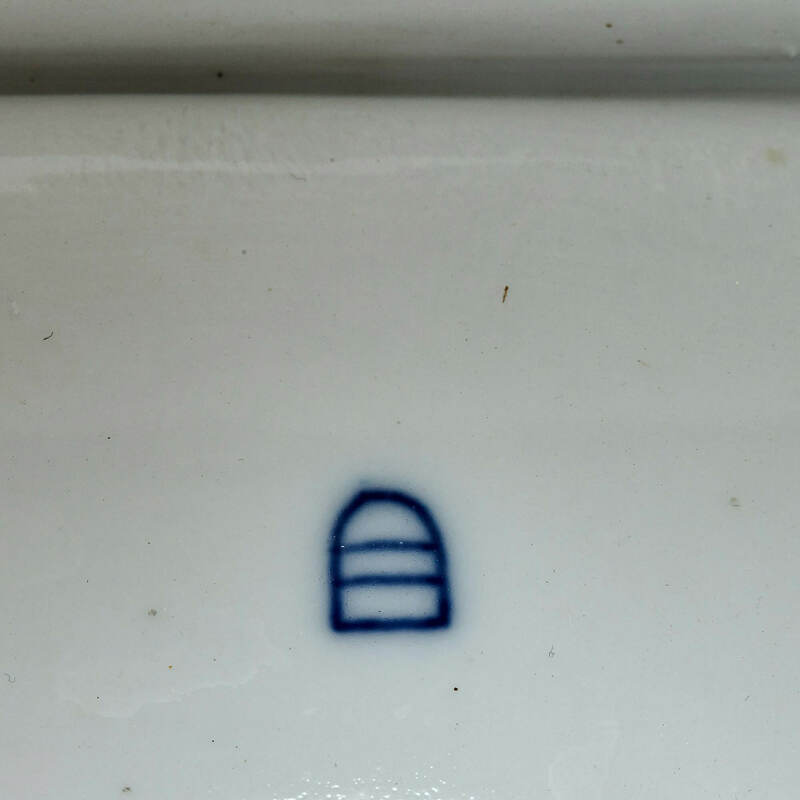 Each vase is marked with the underglaze beehive mark of Royal Vienna.